In a late statement (release 11:49 pm HKT), Hong Kong's Food and Environmental Hygiene Department (FEHD) has announced the finding of traces of H5N6 on a chopping board and the skin of a duck at a `Fresh Provision' shop in the Wan Chai District. While no infected carcasses were detected (the duck appears to have picked up the virus from environmental contact), the shop was heavily inspected, and ordered to clean and sanitize the premises. Twice in December (see here and here) HPAI H5N6 was detected in dead wild birds within Hong Kong, and the virus has been widely reported on the mainland in poultry since 2014. Although today's findings likely pose a negligible risk to the shop owners and customers, this is a reminder that HPAI viruses like H5N6 and H7N9 have the potential to enter the food chain and pose a potential public health threat. Last year, over a period of several months, Russia discovered tons of infected turkey meat had made it into shops around the country (see Rosselkhoznador: HPAI Contaminated Poultry Shipped To At Least 9 Regions Of Russia and Russia: Rosselkhoznadzor Finds More HPAI Contaminated Meat In Retail Stores). A spokesman for the Food and Environmental Hygiene Department (FEHD) said today (January 12) that under the routine surveillance programme for avian influenza (AI) at markets and fresh provision shops which is commissioned by the FEHD and conducted by the University of Hong Kong (HKU), traces of H5N6 virus were detected from an environmental swab of a chopping board and skin swabs of a chilled duck sample taken from a fresh provision shop in Wan Chai earlier. Swabs taken from the inside of the duck carcass were tested negative for AI virus. After analysis by experts, it was believed that the chilled duck concerned was not infected and it was only contaminated by traces of virus on its outer skin. Since virus on the carcass of chilled poultry will not replicate, the chance of AI infection through properly treated chilled poultry meat is very slim. 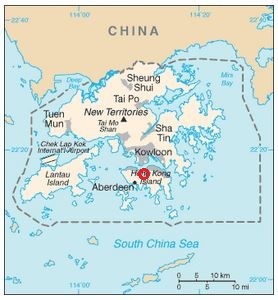 The spokesman said, "Following the detection of traces of H5 virus in an environmental swab from a chopping board used in the above-mentioned premises on January 8, the HKU immediately conducted a follow-up investigation and took other environmental swabs and poultry samples for further testing of AI virus. The follow-up environmental swabs and a live chicken sample were all tested negative. The HKU confirmed today that the skin swabs of the above chilled duck sample collected from the premises concerned was detected with traces of H5N6 virus. It was believed that the sample was only contaminated on the outer skin and the virus would not replicate on the carcass. Therefore, experts believed that the risk of the spread of AI virus would not increase. FEHD is investigating the source of the contamination." Upon learning that the environmental swab was tested positive of H5 virus, the FEHD has immediately enhanced inspections of the premises concerned and instructed the stall to conduct thorough cleansing and disinfection, as well as provided health education for its staff. All chopping boards used in the premises concerned are also replaced. The FEHD will continue to monitor the hygiene conditions of the premises and take appropriate follow-up actions. For AI prevention, the FEHD has been implementing a number of measures at public market stalls and fresh provision shops selling live poultry, including enhanced inspections and ensuring strict compliance with the requirement of "no overnight stocking", i.e. live poultry stall operators must slaughter all live poultry in the stalls before 8pm every evening and no live poultry can be kept in the premises between 8pm and 5am the following day, as well as to clean their stalls after the close of business every day. The FEHD has also commissioned the HKU to conduct routine AI surveillance at markets and fresh provision shops, taking faecal and drinking water samples for testing so as to reduce the possibilities of the spread of AI virus in Hong Kong. • Avoid touching chickens or their faeces when buying live chickens. Do not blow their vent. • After handling live poultry, poultry products or eggs, wash hands thoroughly with soap or liquid cleanser. • Clean thoroughly all working surfaces, utensils and equipments that have been used for handling poultry products or eggs. • Use separate knives and chopping boards to handle raw food and ready-to-eat food. • Keep raw poultry meat in well covered container and then store it in the lower compartment of refrigerator. Keep ready-to-eat and cooked food in the upper compartment to avoid cross-contamination. • Cook poultry thoroughly before consumption. The core temperature of poultry meat should reach 70 degrees Celsius continuously for at least two minutes. • If there are pinkish juices running from the cooked poultry or the middle parts of the bones are still red in colour, cook the poultry again until fully done. The Government will continue to stay vigilant and strictly carry out the risk management measures, so as to safeguard public health and environmental hygiene.